Hyundai's hydrogen-powered Tucson became the world's first commercially available fuel cell vehicle in 2014. LOS ANGELES -- Toyota's interest in batteries has amped up, but Honda and Hyundai aren't shocked. These three automakers have been the most vocal proponents of using hydrogen fuel cell vehicles, rather than battery EVs, as the core of their long-term strategy for zero-emission vehicles. So the news this month that Toyota is developing a long-range battery EV for the 2020 time frame might have been unnerving to the others. After all, hydrogen infrastructure remains a key hurdle to widespread adoption of fuel cell vehicles, one that will be infinitely easier to clear with as many auto-makers as possible working toward a common goal. For one member of the triumvirate to suddenly change course could have profound implications for the viability of hydrogen as a long-term strategy. But to hear Honda and Hyundai tell it, Toyota's move was a necessary course correction rather than a cause for concern. Yes, hydrogen may be the long-term play for all three brands, but getting to that point will only happen with a multifaceted approach that includes a mix of hybrids, plug-in hybrids and battery-electric vehicles. 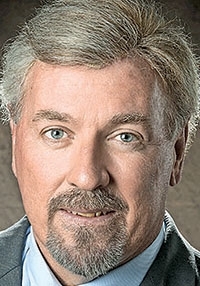 Zuchowski: Hyundai has to hedge. "To be honest with you, Toyota surprised me a little bit in that they appeared to be going all one way" with fuel cells, Dave Zuchowski, CEO of Hyundai Motor America, told Automotive News at the Los Angeles Auto Show this month. "So it doesn't surprise me, it doesn't change anything in our thinking, that it's more of a moderated bet now." 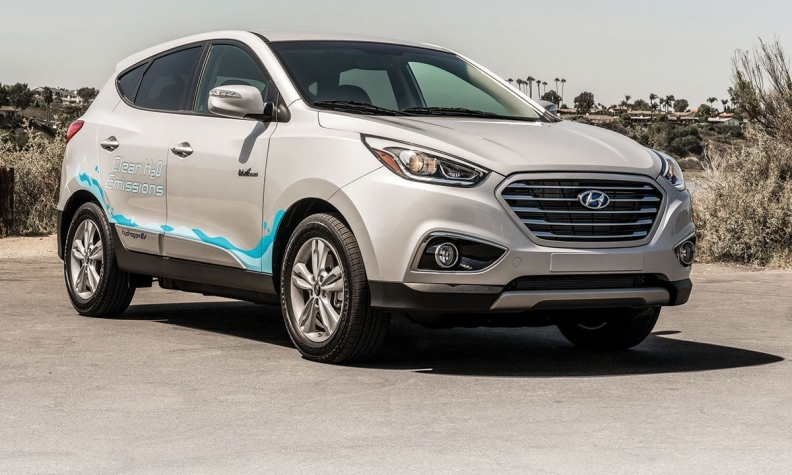 Hyundai's hydrogen-powered Tucson became the world's first commercially available fuel cell vehicle when it was made available to California customers for leasing in 2014. The automaker is working on an all-new fuel cell crossover that will ride on a dedicated platform and is due in 2018, in time for the Winter Olympics in South Korea. But that doesn't mean it has forsaken other alternative fuel ideas. "Our position is we don't know what the prevailing technology of tomorrow is going to be," Zuchowski said. "We have to hedge our bets." To that end, Hyundai plans to introduce 14 alternative fuel vehicles by 2020, including the fuel cell crossover and Ioniq trio of sedans Hyundai has already announced. The entire lineup will consist of five hybrids, four plug-in hybrids, four purely battery electrics and the fuel cell vehicle. Honda also sees diversification as the path to ultimate adoption of fuel cell vehicles. 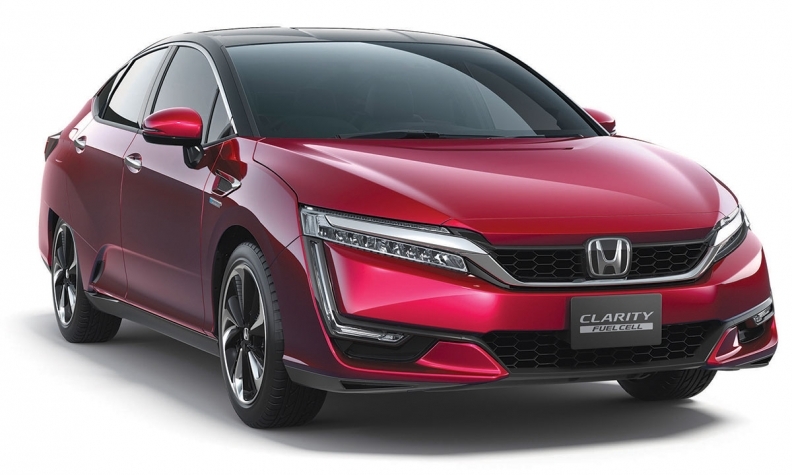 The Clarity represents Honda's bet on fuel cell vehicles. "We've got our money on red, black, odd and even," Steven Center, vice president of Honda's environmental business development office, told Automotive News. "Long term, the market will tell us what they want. But for now, we're not ready to call anything." Honda's fuel cell bet (for consumers in California) started with the first-generation FCX Clarity sedan released in limited numbers a decade ago. Its successor is due to reach California showrooms by the end of this year and will share the Clarity name with an all-electric model and a plug-in hybrid model next year. Honda has also promised hybrid or plug-in hybrid versions of its core models in the coming years. But neither brand has had the success yet of Toyota's Mirai. Since going on sale last fall, the quirky fuel cell sedan has sold 885 units through October. Toyota has also announced that the next-generation Lexus LS sedan will have a fuel cell powertrain option by the end of the decade. Toyota also has one of the most robust lineups of hybrid vehicles in the industry. Add to that its recent EV plans, a shift of its hybrid lineup toward plug-ins and a nameplate eternally linked with fuel efficiency: the Prius. It all means that Toyota -- like Honda and Hyundai -- is well-hedged for the future. What comes next will depend on consumer adoption, gains in battery range and cost efficiency and the growth of both electric charging and hydrogen fueling infrastructure, particularly outside California. For automakers accustomed to competing in every other sphere, there's some solace in arriving at the same long-term answer to the zero-emission vehicle question. "Yes, we were first to market, and that's a great thing," Zuchowski said. "But it's also sort of lonely and sort of scary. So we actually welcome Honda and Toyota because it helps everyone."